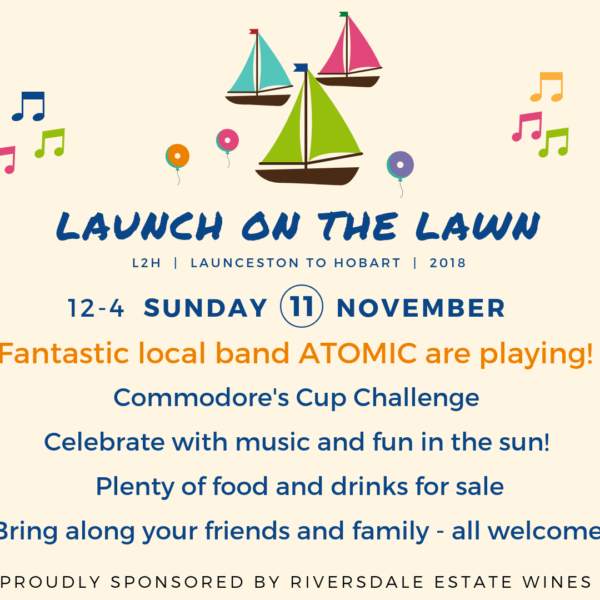 Bigger & Better Launch on the Lawn..
To celebrate this year’s Riversdale Estate Launceston to Hobart race, the DSS is again holding a Launch on the Lawn. 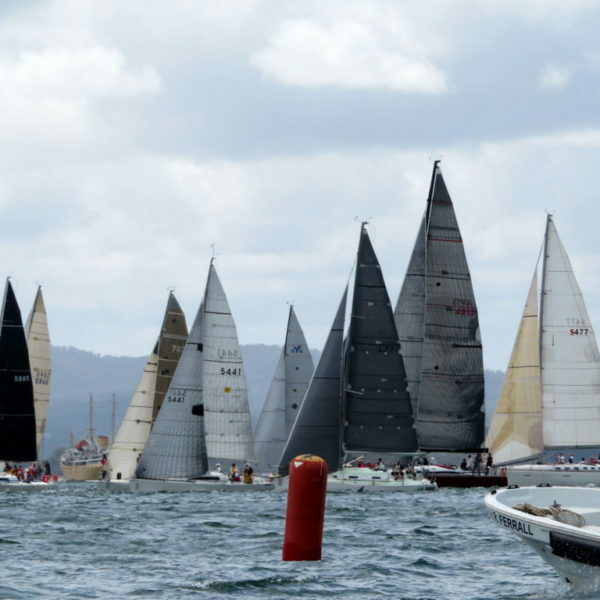 The time has arrived.. entry is now open for the 2018 Riversdale Estate Wines Launceston to Hobart Yacht Race. Go to the Race Documents page for all this years details. 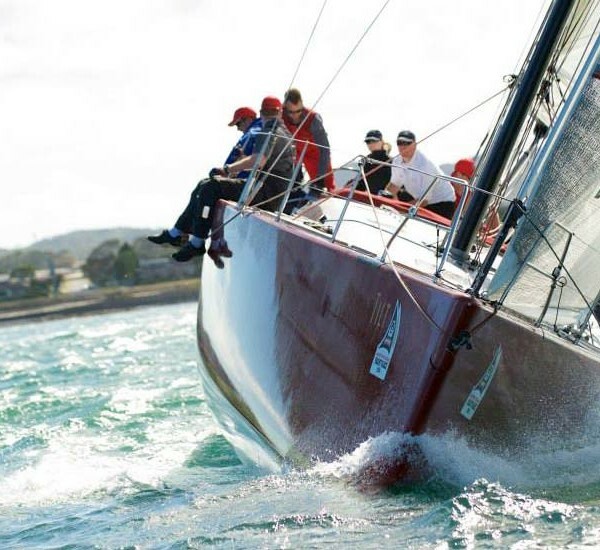 Built 40 years ago of Tasmanian timbers, the 9.1m sloop Mako has made a clean sweep of handicap honours in the 285 nautical mile Riversdale Estate Wines Launceston to Hobart yacht race. 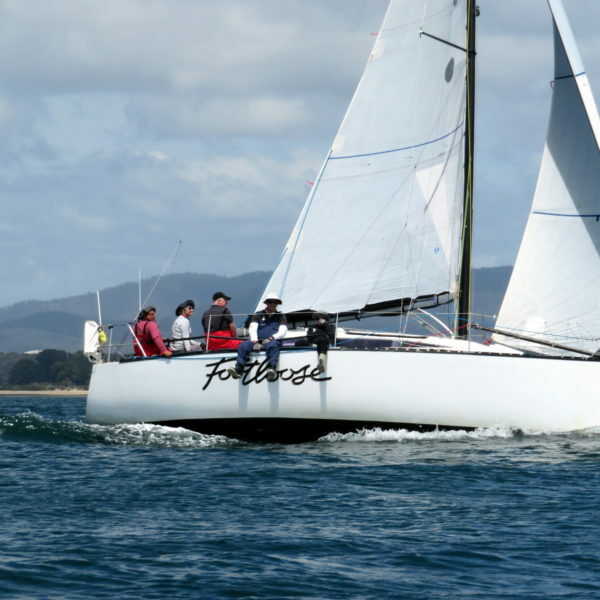 The Fork in the Road has taken line honours in the Riversdale Estate WInes Launceston to Hobart Yacht Race, crossing the finish just after six oçlock this evening. 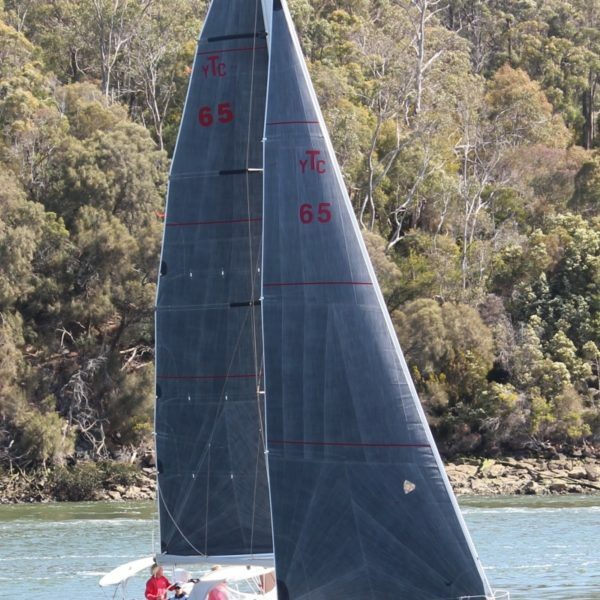 Last year’s line honours winner of the Launceston to Hobart Yacht Race, Peter Cretan’s Tilt, has been forced to retire from this year’s race with a torn mainsail. 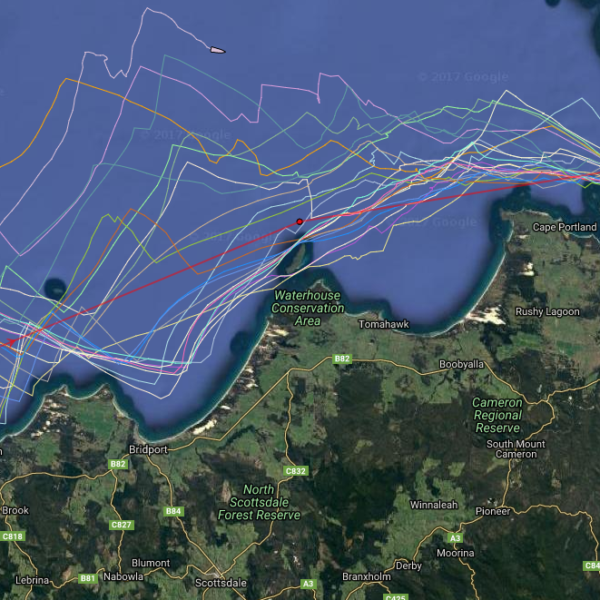 With the fleet bunching up off the Freycinet Peninsula tonight, three of the smaller boats are now heading handicap standings in the Riversdale Estate Wines Launceston to Hobart race. 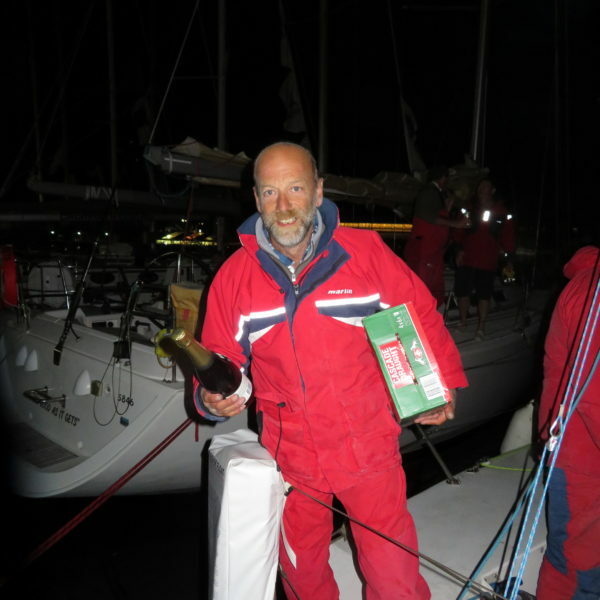 After a night virtually stuck in a windless Banks Strait, the front runners in the Riversdale Estate Wines Launceston to Hobart have finally “turned the corner” and are heading down the East Coast before a fresh northerly breeze. 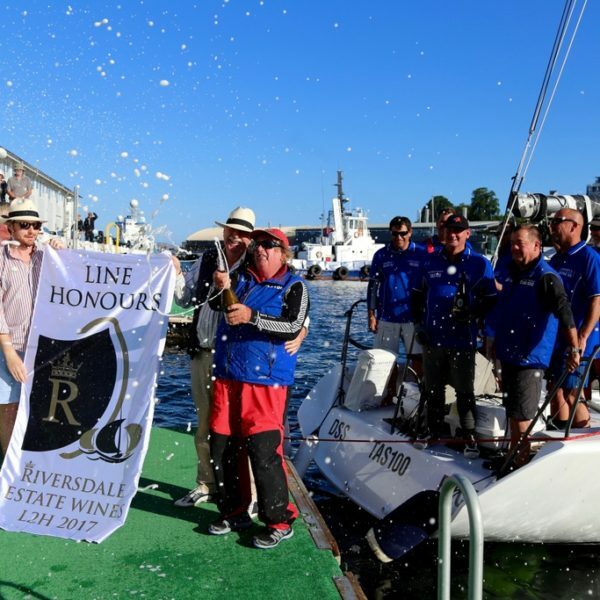 Olympic sailor and world dinghy champion Gary Smith has steered race record holder The Fork in the Road to a commanding lead in the Riversdale Estate Wines Launceston to Hobart yacht race. Launched in 1973 and just 8.6 metres LOA (length overall) Pukana is the oldest and smallest boat starting in today’s Launceston to Hobart Race. 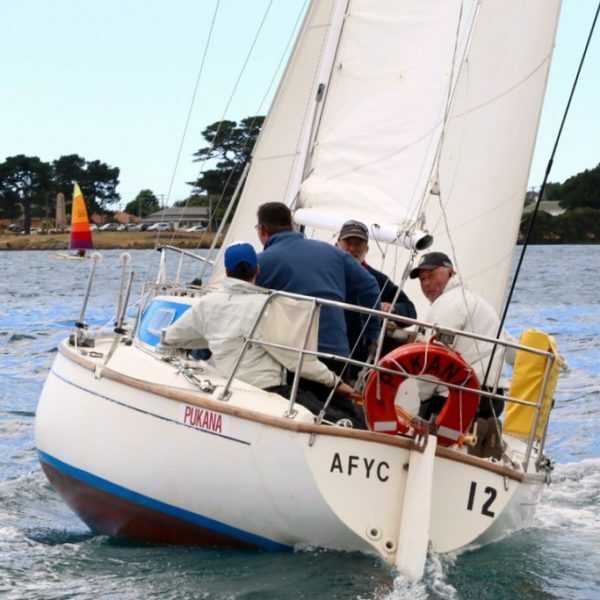 The White family have been living, playing cricket and football and sailing at Beauty Point on the Tamar River for generations, and today the Whites will be on the water again, competing in the 11th Launceston to Hobart Yacht Race.